Following the shooting at a Parkland, Florida, high school that left 17 dead Wednesday, top Republican members of Congress cautioned against swift political reactions. 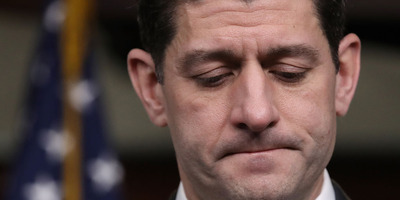 House Speaker Paul Ryan warned against “knee-jerk” political reactions to the tragedy. Sen. Ted Cruz said Democrats were trying to “politicize” the shooting by talking about gun-control measures. Top Republican members of Congress on Thursday urged caution on potential “knee-jerk” political reactions to the shooting at a Florida high school on Wednesday that left 17 dead and more than a dozen others injured. House Speaker Paul Ryan told a local Wisconsin radio station that lawmakers should wait for more details before making statements about possible policy responses to the shooting. Democratic lawmakers and advocates of stricter controls on guns pointed to the tragedy as another reason for legislation strengthening restrictions. Sen. Chris Murphy of Connecticut took to the floor of the Senate on Wednesday and urged his colleagues to act in hopes of stemming US gun violence, particularly in schools. Republicans urged more caution, saying the shooting was not a reason to change gun laws. Sen. Ted Cruz of Texas said during an appearance on “Fox and Friends” that Democrats were attempting to “politicize” the tragedy. “They immediately start calling that we’ve got to take away the Second Amendment rights of law-abiding citizens – that’s not the right answer,” Cruz said. Ryan similarly said the conversation about the Florida shooting shouldn’t become a discussion about gun control.